The Hank Aaron Award is defined as “the most outstanding offensive performer in each league.” In the American League, the award went to Miguel Cabrera, and rightfully so. 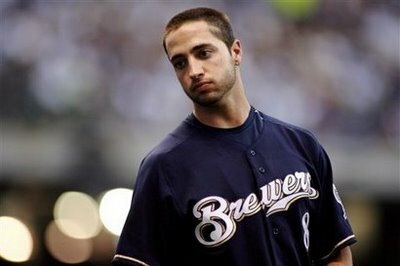 In the National League, it should have definitely gone to Ryan Braun, right? Nope. 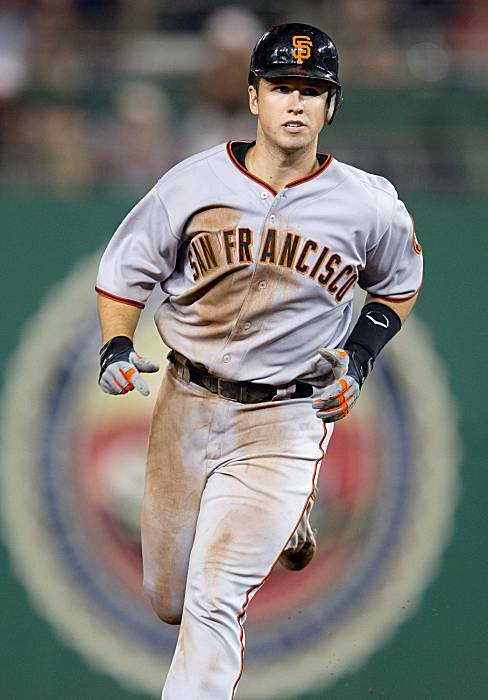 As he probably will with the NL MVP, Posey somehow won this award. But it’s a different case for this award than the MVP. If Posey wins the MVP award, I won’t be as mad because Posey’s Giants contended all year (and won the NL West), while Braun’s Brewers could only muster up a hot streak during the final weeks of the season, and only came as close to the playoffs as two games behind the second Wild Card spot. That’s just the way the MVP voting works, and we’ve all become used to it. But the Hank Aaron Award should be- and, as shown by the winners in recent years, is– different than the MVP award. It doesn’t matter whether or not the winner’s team contended- after all, Matt Kemp won it last year. Overall, Posey definitely did not have a better offensive year than Braun, and there really isn’t a legitimate argument for it. The only major offensive category that Posey had Braun beaten in was batting average- Posey won the batting title (.336) and Braun came in third in the race (.319). Other than that, though, Braun had him beat by plenty in many other stats. Braun had nearly 20 more home runs than Posey (41 to 24), had more RBIs (112 to 103), more hits (191 to 178), and a higher slugging percentage (.595 to .549). I don’t know about you, but looking at those stats, there’s a clear-cut winner of this award- and it isn’t Posey. Perhaps it’s the “roid factor,” something we may have to live with for the rest of Braun’s career. I didn’t think it would come into play for an award like this, but I suppose it’s going to affect Braun’s chances at every award for as long as he plays. 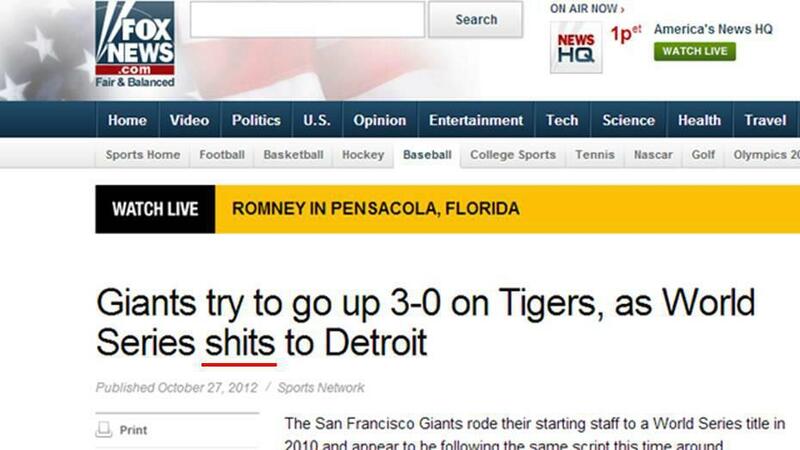 > The Giants now have a stranglehold over the Tigers in the World Series, taking a 3-0 lead with their 2-0 win tonight. Ryan Vogelsong continued his postseason dominance with 5 2/3 innings of shutout baseball, and the only two runs he needed were on RBI hits from Gregor Blanco and Brandon Crawford in the second inning. That two-run second inning was the only flaw in a stellar outing from Anibal Sanchez, who went seven innings while striking out eight. > Following the play in which Doug Fister got hit in the side of the head with a line drive the other night, MLB is now seriously considering a helmet-type guard for pitchers. This was probably already being talked about after the Brandon McCarthy scare in September, but this fiasco likely accelerated the talks. Anyway, the helmets wouldn’t reach the big leagues right away. If they do come into play, they would first be tested in the minors. Blue Jays: Outrighted Tyson Brummett to Triple-A. 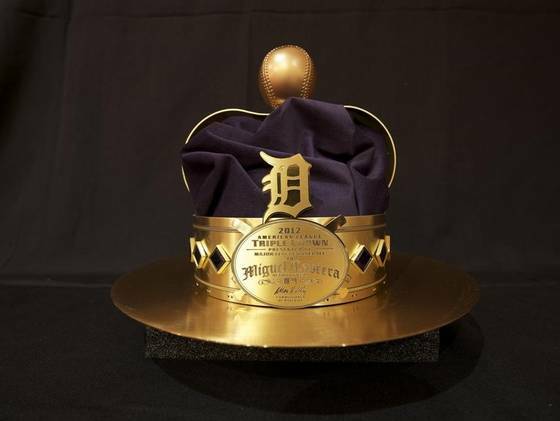 > Cabrera was literally given a crown for winning the first Triple Crown since 1967. Five-tool catchers- do they actually exist? > Earlier today, I was reading an article on MLB Trade Rumors. It talked about what general managers look for in drafts, such as five-tool players, front-of-the-line ace pitchers, and so on. But, there was one specific type of player in that article that caught my eye- a type of player I didn’t even know existed, and it may very well not even exist. A five-tool catcher. The baseball terms “five-tool” and “catcher” typically contradict each other, hence the reason a five-tool catcher is so rare and unheard of. If you don’t already know, the five tools in baseball are hitting for average, hitting for power, speed, a good arm, and good defense. The most common type of player to wield the five tools is an outfielder. And, not coincidentally, the two top finishers for the NL MVP were outfielders- Ryan Braun and Matt Kemp– and you could make the argument that both are five-tool players, despite their young ages. The best that catchers can usually be are four-tool players, as the top catchers in baseball are typically good hitters and good defenders (blocking pitches and throwing out runners). But, that one tool they almost always lack is speed. That’s kind of a given, though, considering they have to sit crouched in one position behind the plate for over 1,000 innings per year. There are plenty of good catchers out there. Brian McCann (Braves) has made the All-Star Team every year since 2006, and has also hit 20 or more home runs every since as well (except 2007). But, his defense is below average for a catcher, and then there’s the speed as well. Yadier Molina (Cardinals) has always been arguably the best defensive catcher in baseball, throwing out nearly 50% of runners that have tried stealing against him in his career. Molina also broke out at the plate this year, hitting .293. But, he’s painfully slow, even for a catcher. 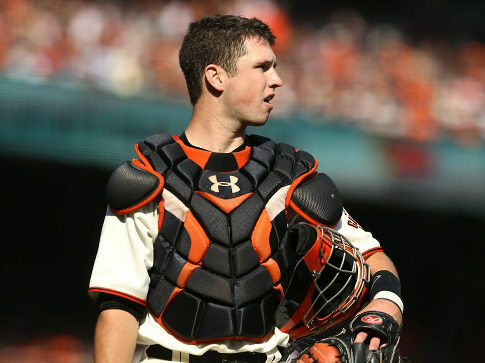 Buster Posey (Giants), after winning the 2010 Rookie of the Year Award in the NL, promptly got injured in 2011, so we have yet to see what he’s truly capable of. Anyway, there’s more catchers to list, but I’m not going to rattle on forever about every catcher in the Majors. While all of the guys I just listed are good, All-Star caliber catchers, they can’t be considered true five-tool players, simply because of that lack of speed. Hence, I don’t think a five-tool catcher can exist. > When that topic on MLBTR caught my eye, I also started thinking about the Brewers’ young catcher, Jonathan Lucroy. He certainly isn’t a five-tool catcher either, because, like all catchers, he doesn’t have speed. And his offense could use a little work. But, offensively, I think he’s headed in the right direction. After coming up from Double-A in May of 2010 to replace the injured Gregg Zaun, Lucroy was immediately thrown into the fire of being a starting catcher at the Major League level. He finished 2010 hitting .253 with four home runs and 26 RBIs. Then, in 2011, his first full season in the Majors (although he missed a few weeks in April with a broken finger), he hit .265 with 12 homers and 59 RBIs, and demonstrated some power. This makes me think that, in time, Lucroy can be a power threat. I also think he’ll be able to be a near-.300 hitter at some point, but he needs to become less streaky. 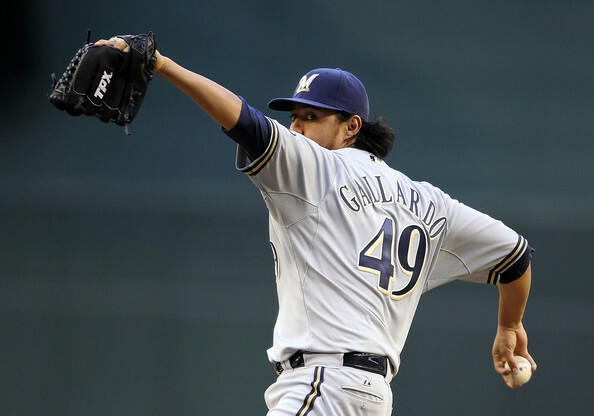 But doesn’t the entire Brewers’ offense need to become less streaky (save Braun)? Lucroy also finally developed into a great defensive catcher in the second half of 2011. He still has his occasional embarrassing moment where he doesn’t know where the ball bounced, but he’s become accustomed to blocking balls in the dirt, probably thanks to Zack Greinke‘s slider. And it felt like Lucroy was throwing out more runners than ever in the second half as well. > And that’s all I’ve got for now. I might post Hot Stove news later. That is, if anything happens… Anyhow, thanks for reading. > And Ryan Braun wins the NL MVP. Let the debating begin. > Braun beat the Dodgers’ Matt Kemp for the award, which has already caused a lot of debate. Most of it is that people think the only reason Braun won is because he played for a contending team. Which was part of it, and I’m not saying I disagree with it, as I said in my post last night. “Best player” and “most valuable player” don’t always mean the same thing. > Anyway, I’m not going to talk much about the whole debate thing right now, but more about Braun’s numbers and why he was so deserving of this award. 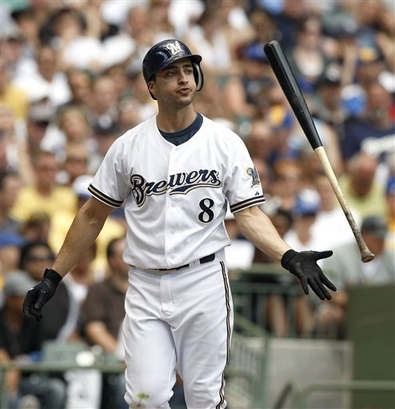 > Braun is the first Brewer to win the MVP since Robin Yount won it in 1989. Yount is arguably the greatest player in Brewers history, so Braun has come along away and is joining some elite company. Braun received 20 of 32 first-place votes, which totals 388 points. Kemp came in second with 10 first-place votes (332), Prince Fielder in third with one first-place vote (229) and Justin Upton in fourth also with one first-place vote (214). Albert Pujols came in fifth with 166 points, but the highest vote he received was one third-place vote. 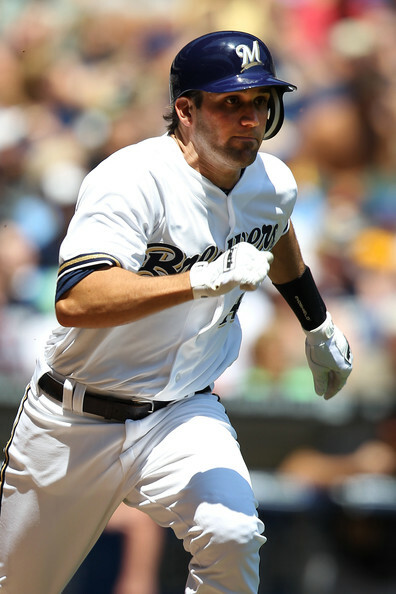 In 2011, Braun hit .332 with 33 home runs and 111 RBIs- definitely a MVP-caliber season. Kemp hit .324 with 39 homers and 126 RBIs. By looking at those numbers, you’d probably wonder why Kemp didn’t win instead. But what I think separated Braun from Kemp was simply how often Braun came through in the clutch- yes, this is something that effects the voting. Braun coming through in the clutch is what drove the Brewers to the postseason. Kemp didn’t exactly come through in the clutch very often (but he played for the Dodgers, which explains why). But what I’m saying is that the voting goes beyond the numbers. > MLB and the players’ union came to an agreement on a five-year labor deal (imagine how jealous the NBA must be right now). Of course, this garnered about as much buzz- if not more- as Braun winning the MVP. 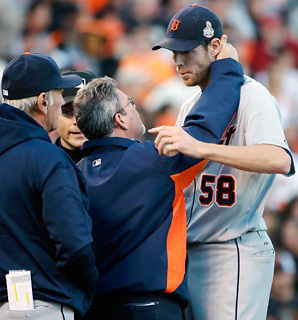 Anyway, it’s good to know that we won’t be seeing another baseball strike anytime soon. > Jim Crane and his group officially took over the Astros today. They’ve agreed to move the Astros to the AL as early as 2013, as we heard a few weeks ago. Meanwhile, Drayton McLane wonders how he sold the worst team in the MLB for $610 million. > Anyway, I’m kind of short on time right now, so that’s all I’ve got. Thanks for reading, and feel free to leave your thoughts, if you have any.